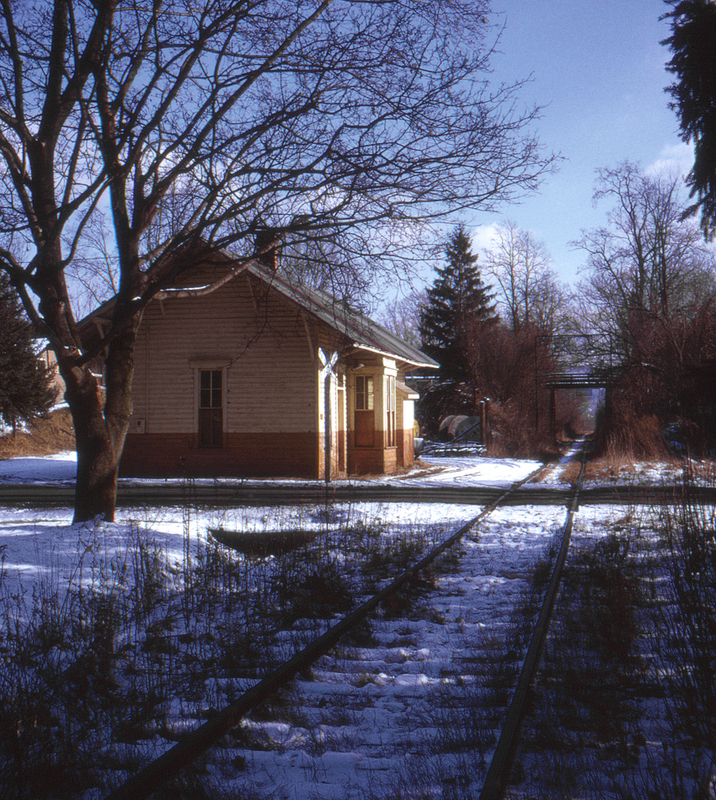 "West of Elkland" is all that's written on this 1972 slide; without a station name on the building I'd guess that this is Osceola, Pennsylvania. If so, that's Tuscarora Rd. crossing overhead in the distance, with N. Holden St. in the foreground, and this view would be looking east towards Elkland.